Winning Academy Award NOT an entitlement! How disappointed he would be to see how blacks not only have squandered those rights, but totally misused them to keep them from self reliance and by exhibiting lawless conduct. This has caused a new wave of prejudice and stereotyping as they demand to have everything given to them, including the demand for a recognition for which that they did not qualify. The blacks have been told to believe that they should sweep the upcoming Academy Awards simply because they are black and their film offerings should automatically get the top prize while screaming that they have been 'snubbed' because they are black. First of all, the Academy awards are based upon outstanding motion picture productions. The awards are based upon talent and superior production skills, not the color of ones' skin or nationality. I have seen many great actors who lost the prize because there was a greater actor. Simple. This is not an affirmative action industry. Making this even more absurd is the fact that the film, Selma, at the center of the dispute, was indeed nominated for not one, but TWO Academy Awards, one for the movie, and the other for the soundtrack, all black produced. But they are not satisfied. They want it all. Their beef is that neither their star actor or the director of the film got a nomination. The insist that they should win in ALL categories, not because they are more highly skilled than anyone in the industry, but simply because of their race. It is owed to them. It is ironic that there have been numerous black actors who have received the top prize in past ceremonies dating back to 1939 when Hattie McDaniel won for her role in Gone With The Wind. Still, the black flack continues to grow to the point that their shop-steward, Al Sharpton, is calling for an "Emergency Diversity Task Force Meeting" with Hollywood CEOs and the Academy Committee to challenge what he falsely calls an "Oscar Snub." Oscar snub? Would that include the many contestants that did not win? 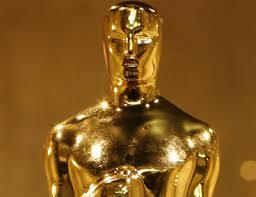 The last I heard was that Oscars are given in to honor outstanding work in the film industry. Many great actors lose to one who has that special screen presence and nails the person they are portraying. They cannot be just competent, but must be exceptional. We are not blaming the blacks themselves. They have been and are being misled and misinformed by the Communist Party who see them as tools to incite unrest and riots in the U.S. One of those organizers for San Francisco, D'Andre Teeter is, according to our research, an active member of the Revolutionary Communist Party. Let's look at Communist Capitalist provocateur George Soros. Hows that again? Communist Capitalist? Yes. Under Communist rule, the 'peasants' are kept in poverty and enjoy no capital gains or privileges, even a right to choose their work or where they live. But in those same settings, there are the dictators who rule over all, who themselves, have accumulated and continue to accumulate great wealth in capitalistic wheeling and dealing. And unlike their subjects, they can own property. It is reported that billionaire Soros has invested $300 MILLION dollars to finance the current race riots, utilizing an incident in Ferguson,Missouri and orchestrating it into national action of hatred and destruction for the purpose of turning people against one another. Soros controls the newspapers and media in general with the ability to rattle cages and brainwash blacks into thinking they have no rights and that everything is about black and white. See how many times these identities are given in news stories. Why can't they all be just people? Color mention is not necessary. Here are the headlines (1/15/15) on the East County Times in Northern California: AND THE OSCAR FOR BEST CAUCASIAN GOES TO... this was on the top of the front page dominating that page. On page 8 of the same paper on that same day was this one: "Good Year for Indies, Not Diversity, at Oscars." And this is just the nominations. Colonel Allen West answers Al Sharpton who begins his ravings with: "The movie industry is like the Rocky Mountains, the higher you get, the whiter it gets." Col. West, who is a responsible and successful black man, shows a clear pattern of racism. "It's in the NFL" he says, tongue in cheek. "During the last 58 years,the 'Most Valuable Player" awards went to blacks." Whoa there! We gotta do something about that! Some of the responses to the story of the latest Sharpton flak brought some interesting thoughts. One responder stated: "I think to be fair...they should allow Al Sharpton to host the awards show....."
One writer said about Colonel West: "Sharpton is an African-American...Col. West is a REAL American." There were a couple hundred such comments. Now let's talk about REAL racism. The Chinese in the early days, who helped build our railroads among other things, had NO rights whatsoever, simply because they were Chinese. They had to live in their own ghettos where no one spoke English. They had no Martin Luther King. They were on their own. Instead of demanding rights, they applied themselves, learned to speak English, worked hard, sometimes two and three jobs, to put themselves through school and training. They were never a problem as they quietly equipped themselves for success. Today, they are the best students in classes and good citizens who have EARNED the respect they now have. Several years ago, a Chinese man, cinematographer James Wong Howe won several Academy Awards for his work. Blacks can do the same if they untangle themselves from Sharpton, Jackson and the other rabble rousers who are determined to keep them down in the gutter, earning the contempt of society due to what they have been programmed to do. Everything that Rev. Martin Luther King accomplished for them has gone down the toilet, thanks to the Communist leaders who consider blacks to be, "useful idiots" who will disrupt America enough to accomplish Socialist goals. These puppets today brought the Oakland Stadium Bart train (that would transport riders to the ballpark), to a stop, closing it. Also today, on Martin Luther King's birthday, protesters under distinct leadership, blocked the San Mateo Bridge bringing traffic to a halt. The commuters were on their way home. During other days, they block Bart trains so commuters cannot get to work on time. Yes, people who collect welfare and don't need to work (nor do they want to), insist on blocking those who DO work and contribute to the well-being of our society. Dr. King, who sacrificed everything including his life to liberate blacks, would shed tears to see this lawlessness, violence, mischief and destruction committed on his birthday in his name. He would be convinced that he did all of this for.....nothing.